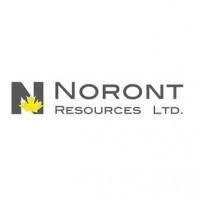 Noront Resources Ltd. (TSX-V: NOT) is pleased to announce the closing of a private placement of (i) 5,349,288 units at a price of $0.295 per unit, for gross proceeds of $1,578,040 and (ii) 6,491,433 common shares, which will qualify as “flow-through” shares pursuant to the Income Tax Act (Canada), at a price of $0.335 per flow-through common share, for gross proceeds of $2,174,630. The Company is pleased with the participation of RCF V Annex Fund L.P. in the Unit Offering as it demonstrates their continued support for the ongoing development of the Company’s projects in the Ring of Fire. The proceeds from the Unit Offering will be used to advance development of the Company’s projects and for working capital purposes. Each Unit is comprised of one common share in the capital of the Company and one-half of one common share purchase warrant, with each whole warrant entitling the holder to purchase one common share at a price of $0.35 per share on or before November 5, 2020. The securities issuable pursuant to both the Unit Offering and Flow-Through Offering are subject to a statutory hold period of four months plus one day which will expire on March 6, 2019. In connection with the Flow-Through Offering, EMD Financial Inc. and Beacon Securities received a finder’s fee, paid in common shares, equal to 6% of the gross proceeds of the Flow-Through Offering. There were 389,486 common shares issued at a price of $0.335 per common share in satisfaction of the finder’s fee. The common shares are subject to a statutory hold period of four months plus one day which will expire on March 6, 2019. Certain of the transactions described in this news release between the Company and Resource Capital Fund V L.P. an affiliate of RCF V Annex, constitute “related party transactions” within the meaning of Multilateral Instrument 61-101 – Protection of Minority Shareholders in Special Transactions. For these transactions, the Company intends to rely on the exemption from the formal valuation and minority shareholder approval requirements of MI 61-101 contained in Section 5.5(b) and Section 5.7(1)(a) of MI 61-101 on the basis that the securities of the Company are not listed on a specified market and the transaction value does not exceed 25% of the Company’s market capitalization. Noront Resources Ltd. is focused on the development of its high-grade Eagle’s Nest nickel, copper, platinum and palladium deposit and the world class chromite deposits including Blackbird, Black Thor, and Big Daddy, all of which are located in the James Bay Lowlands of Ontario in an emerging metals camp known as the Ring of Fire.